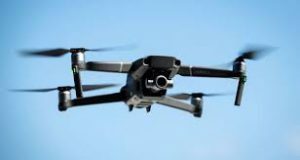 This is a comprehensive five-week course that teaches the basic principles of drone flight (also known as Small Unmanned Aerial Systems or SUAS). We will review the laws regulating amateur drone pilots in Montgomery County, PA, and in the surrounding areas. Students will learn the scientific principles of flight, how drones and radio controllers work, how to read an aeronautical chart, airspace restrictions and how flying a drone as a hobbyist is different from flying one as a commercial drone pilot. NOTE: Students will NOT be flying drones during class at any point in this course, so you will not need to bring your own drone. Professional Drone Pilot; Filmmaker; Photographer; Founder, ROTOR MULTIMEDIA, A Media Production Company With a Focus on Aerial Imagery.